Are you wearing Cha….? 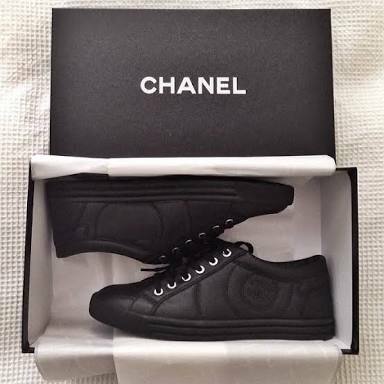 CHANEL , Yes I am ! 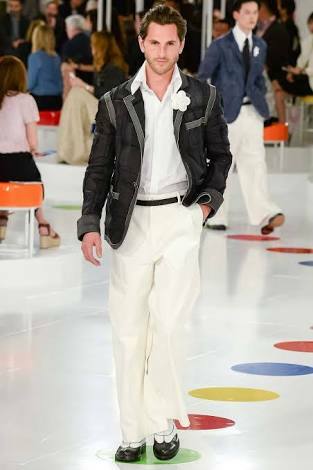 Chanel, the house of elegance, class & luxury also the unique fashion house for men. 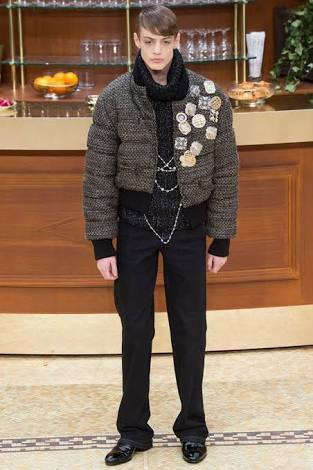 It’s rare to spot men wearing Chanel as they have a great fashionable taste. 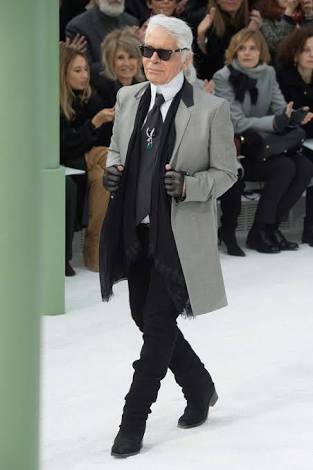 COCO Chanel started the brand as a line for women but thank god for the time being we have the line for both genders by the hands of the brilliant creative director KARL ♥ . 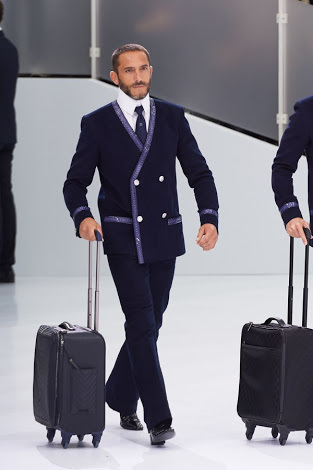 Speaking of patterns, Chanel for Men collection this year is all about dark colors as always, the directors see the more darker the more classier specially when you mix them all together. 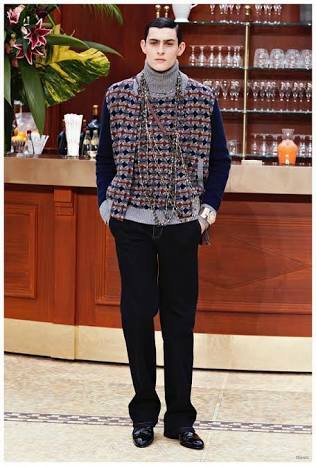 The Chanel for Men color trend you will mainly see is Grey, Black, Navy Blue & Olive Green. 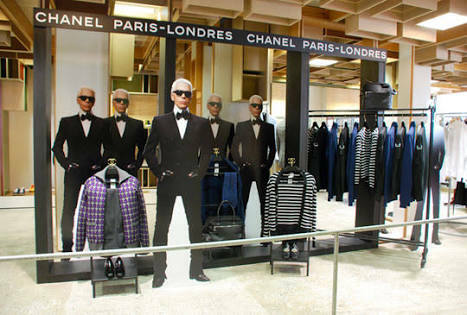 Chanel brand proved that selling in their own boutique is way professional than directory stores. It’s their own vision but I see it wrong as Multibrand directory stores are mainly the best sellers as customers can search & style many different items together from variety of many designer brands. 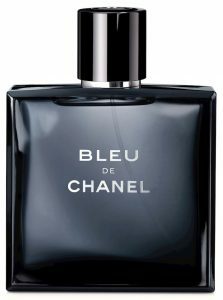 Chanel didn’t use the navy “blue” just for their cloths but also for the perfume bottles, so guys if you need a higher attention just buy one of the higher priced brands !!! 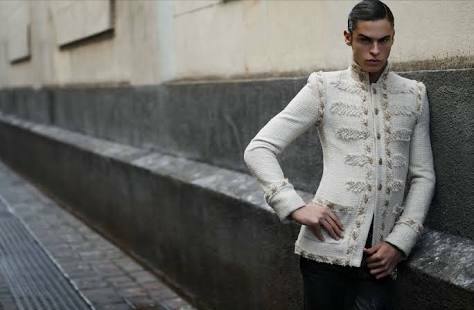 Chanel collection available only at the brand stores all around the globe. Hopefully, a store will open in Cairo soon. 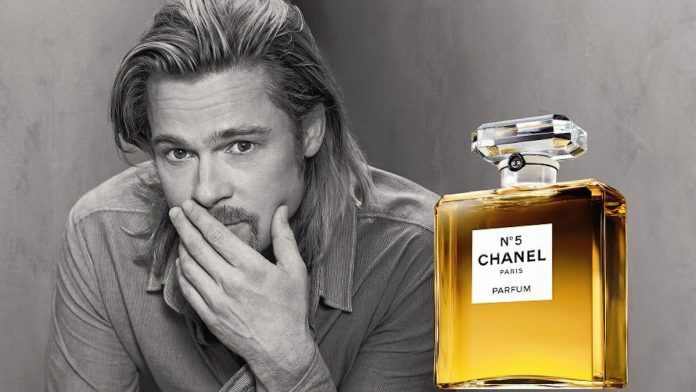 Have a comment about the article or about Chanel? Leave it in the section below….